⇑ back to "Cover Story"
Argentina-born evangelist Luis Palau is using high-energy festivals to reach a new generation with the gospel. As dusk settles over Central Florida, a fiery evangelist with a Spanish accent and energy that defies his 71 years unveils his heart for the thousands lining the outskirts of a college football stadium. Composed of all ages, socioeconomic statuses and ethnicities, the audience focuses as one on the man at the mike, whose gospel message marks the end of a day of sun, music, food, sports and games. It's Saturday night in Orlando, the midway mark of a two-day festival last April, and hundreds come forward at the evangelist's invitation to begin a personal relationship with Jesus Christ. In total, 1,090 individuals will accept Christ as Lord for the first time during the weekend, while another 2,048 will re-dedicate themselves to Him and a few hundred more will request additional information. By the weekend's conclusion roughly 85,000 persons will have been a part of the festivities, with another 5,500 having attended various rallies and luncheons in the preceding days—the fruit of two years of planning and praying. Six hundred forty-five local churches and dozens of area businesses participated. The evangelist is Luis Palau, a native of Argentina now in his fourth decade of speaking to crowds across the globe, especially in Latin America. Heard daily on English and Spanish radio stations in 42 countries and the author of more than 45 books, Palau has addressed more than 20 million people across 70 countries during his ministry career. His Portland, Oregon-based Luis Palau Association made a choice several years ago to transition from the traditional crusade model of evangelism made popular by Billy Graham to a festival format that would more deeply connect with the unchurched and, particularly, youth. The weekend's attendance, large for a North American ministry endeavor, was relatively small compared with the size of audiences Palau has garnered in recent years: 300,000 in Fort Lauderdale, Florida; 200,000 in Minneapolis; 100,000 in Washington, D.C.; and an overwhelming 850,000 in Buenos Aires, Argentina. Six festivals take place each year. Rather than being compelled by choirs or organ music to gain a deeper awareness of Christ and respond to the gospel invitation, attendees hear the booming sounds of contemporary Christian acts such as TobyMac, Delirious, CeCe Winans, Jump 5 and Salvador before Palau presents the salvation message. At an adjacent arena, several 20-somethings dazzle the audience with BMX and motorcycle stunts, interwoven with testimonies by some of the riders and a message from actor Stephen Baldwin, a recent convert to Christianity who hosts a series of Palau-produced DVDs called Livin It. At one point the crowd hears from Tony Dungy, head coach of the NFL's Indianapolis Colts, and basketball player Dwight Howard of the NBA's Orlando Magic. Across the festival property children flock to face-painting tables, bounce houses, slides and other games, and catch a performance by VeggieTales characters Bob and Larry. Then a ventriloquist leads them in a prayer for salvation after talking to them about Jesus' work of cleansing their hearts. Dozens of vendors dot the festival grounds in a manner typical of a large county fair, and anyone who stumbled across the event without previous knowledge of its context might not discern the difference until he gradually detected the positive, pervasive message woven through all the activities. "It breaks down so many negative stereotypes that people have about what it means to be a follower of Christ," says Kevin Palau, 43, the eldest of the evangelist's four sons and executive vice president of the association. "Corporate sponsors show a business interface with the church, and Christians are dressed normal and having fun." The elder Palau agreed to the radical shift in evangelistic format in 1999 at the urging of Kevin and his brothers. Palau spent the early years of his ministry preaching throughout Europe, Latin America, Asia and Africa. In the early 1960s he served as an interpreter for Billy Graham during a crusade in Fresno, California, and began gospel broadcasts in Colombia that today are heard by some 22 million people in Spanish-speaking countries. By 1970 he was gaining attention as an evangelist throughout Latin America. In 1980 he held his first large Spanish-language crusade in the U.S., in Los Angeles. It was followed a year later by his first English-language crusade in America, held in San Diego. Yet it wasn't until the mid-1990s that he turned his attention to the U.S.
"We were seeing that young children could not come to the crusades because their parents had to find baby sitters," the elder Palau adds. "Now they can bring their kids. The children have their area, and the crazy extreme sports types can see those guys practically breaking their necks. "[The festival] has to be contemporary; otherwise you don't get the younger generation. The main audience is youth, young couples and their children. As for everyone else, we thank God that He also speaks to other adults and seniors." Palau was a successful banker before he entered Multnomah Biblical Seminary in Portland, where he met and married his wife of 44 years, Patricia. Although he is not generally considered to be a part of the charismatic movement, Palau bears strong ties to some of its key leaders. Ed Silvoso is his uncle, Juan Carlos Ortiz is a brother-in-law and two other brothers-in-law are Assemblies of God ministers. Close friends include Claudio Freidzon, Osvaldo Carnival and Jack Hayford. Palau has been a frequent guest speaker at charismatic churches and conferences for denominations such as the Assemblies of God and the Foursquare Church. Actor Baldwin, present at all the festivals, has received the gifts of tongues and prophecy. And though Palau himself does not lay claim to gifts such as tongues, prophecy or healing, he emphasizes his responsiveness to the Spirit's leading and considers himself to have spent his entire ministry career "under the charismatic umbrella." 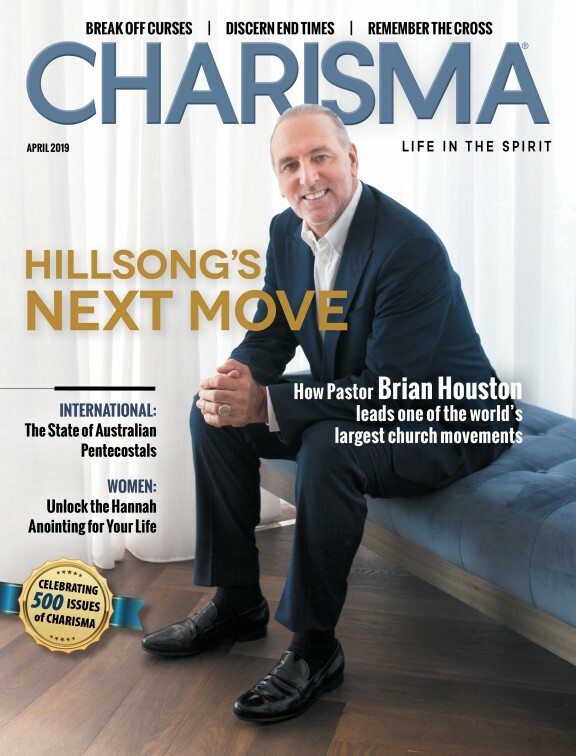 "I couldn't do my ministry if it weren't for some of the charismatic or Pentecostal churches—the fire, the boldness, people not ashamed of Jesus Christ," he notes. "I believe the Lord can and does give any of the gifts of the Spirit mentioned in the Scripture, and I've seen them in action. Without the visible, astounding gifts, people wouldn't even listen in places where animosity to the Spirit of God is strong. Man, they pay attention when they see miracles. "I have never spoken in tongues," Palau continues, "though since I was a kid I've always been open. I've had team members throughout the years who privately pray in tongues." Palau says he is sometimes asked to pray for the sick. "If I get requests I will do it. I do not have the gift of healing, but I've prayed for people throughout the years," he says. "We've seen amazing miracles." Palau, raised in the Plymouth Brethren tradition, says he had a very straight-laced, traditional background but appreciates all flavors of worship. "When I began to study the Scriptures, I realized [how we worship] was just cultural. Certain people enjoy expressions like exuberance and dancing in the Spirit. I'm sort of a square, but I rejoice. "If you really love the body of Christ, if you really love people, as long as it is done in the Spirit of Christ, man, let them go. My concern is only when the flesh moves in or pride moves in, and I feel a check by the Holy Spirit that this is going over the top, and sense that someone is doing something to serve their own purposes." He says Christian leaders must be careful not to merely stimulate emotions. "If you over-stimulate unbiblical, unknowledgeable people they can get out of control and imagine it was something spiritual." Although he has spent his career in crusade and festival-style ministries rather than working directly for a local church or denomination, Palau says his heart is with the local church and his focus centers on driving people to a deeper connection with a congregation. "We go nuts trying to think how we can best incorporate people who attend the festival into the body of believers—into a small group as well as a local church," he says. "That's why our guys are here a year-and-a-half ahead of time to prepare the churches for the influx of people." The process of assimilating those who make first-time decisions for Christ or re-dedicate their lives to Him involves five groups of people: "Friends of the Festival" (traditionally known as "counselors"), who pray with those responding to the invitation, give them literature and gather contact information; the person who invited the newly saved individual to the festival, who is asked to hold the convert accountable for follow-through; the local churches, which are urged to baptize the new converts as soon as possible; the Palau Association itself, which stays in touch by mail with the decision-makers for a full year; and radio outreach across the airwaves. "We're totally church-centered," Palau says. "We work with the church, through the church and for the church. I'm an elder in my local church [Cedar Mill Bible Church, an independent congregation founded by Palau's father-in-law]. I really believe the church is the only institution that Christ left behind." Palau is not shy about expressing his views—positive and negative—of that institution in its current state. Observing the ongoing efforts of Western Christians to reach an increasingly secularized culture, he says he believes the most effective tool in recent years has been the small group—which he claims "probably was taken from Latin America and South Korea and probably goes back to the New Testament." Western churches that are implementing cell ministry are the ones that are growing, he says. "Secondly, free worship, letting people worship in the Spirit and not putting them in a straightjacket; contemporary Christian music has been strong in leading people to the Resurrection." But, he adds: "We have to watch [in worship] that we don't drift away from the cross or the blood of Jesus Christ. We have to keep the balance between the cross, the blood, and the Resurrection and the Holy Spirit." Palau cautions that leaders of the church must be careful as they grow more visible in the secular eye. "We've got to watch that we don't become so man-centered that Jesus Christ takes second place. It's happened before in history: The Dark Ages was the church becoming so man-centered and money-centered. "Sometimes we make money too much of a central thing," he says. "In the festivals we don't charge, and we don't take up an offering, not because we don't wish we could but because we want to shut the mouths of those who insist that it's nothing but a money deal. That way, the media and the enemies of the cross cannot say, 'These evangelists have their hands in the pocket all the time.'" Palau has other concerns as well. "I'm really concerned that pseudo-intellectualism, even among evangelicals, does not lead us to a lower view of Scripture," he says. "There is a small but growing temptation to begin to question Scripture and to allow what the world says to become our agenda. We've got to become very careful to take the Word at face value. If Scripture isn't inspired by the Holy Spirit, if it isn't inerrant, we are in trouble." Social action in and of itself "is wonderful," Palau says, noting that his ministry engages in delivering food, building houses with Habitat for Humanity and fixing up schools. "All of it is great. But we don't forget John 3:16. "The world will applaud you for your social action, but you can fall into keeping your mouth shut when it comes to the good news. I personally don't like the phrase, 'Always preach the gospel, and if necessary use words.' Unless you open your mouth, you haven't preached the gospel." Changing with the times but offering an unwavering message, Palau has gradually given more and more leadership responsibilities to his sons but shows no indication of moving toward retirement. There is too much fire still sizzling in his belly and there are too many people still to reach for Christ. "[My passion] is still the same thing: to obey the Great Commission because Jesus said, 'Go.' Whether you're tired or not, you do it," Palau asserts. "Secondly, it's souls, people, coming to know forgiveness, eternal life and the power of the Holy Spirit." Realizing that a transition is inevitable at some point, Palau's team has launched the Next Generation Alliance to train and mentor hundreds of aspiring evangelists. About 10 have emerged as particularly gifted and mature, showing strong signs of anointing for reaching cities, states and nations. The protégés gather at annual conferences and are involved in the festivals. The Livin It events and DVDs are a key part of the ministry as it evolves. Plans also call for the ministry to build inroads into China. A tour is in the offing, and the government there is soon to publish a book co-written by Palau and a former minister of communications from that nation. Palau expects the book, tentatively titled A Friendly Dialogue Between an Atheist and a Christian, to be in every bookstore in China and receive plenty of airtime on Chinese national television due to the co-author's prominence in his country. "I've told the government of China that I want to see a million Chinese in Tiananmen Square while I'm telling about the Lord Jesus," Palau says. "At first they laugh, and then they say, 'You're serious.'" In spite of changes in approach, technology or crusade locations, Palau's focus remains the same, and his passionate, 45-minute plea that concludes the two festival evenings leaves no doubt of its endurance. "To me, seeing people come into the kingdom of God is a never-tiring experience. It's everything. "You take a break to go to the beach with your wife, but your mind is always on, 'What can we do to get someone into the kingdom?' My favorite verse is 1 Timothy 2:4, that God wants everyone to be saved. Everything else fits into place after that." John M. DeMarco is a United Methodist clergyman and freelance writer based in Viera, Florida. He interviewed Luis Palau in Orlando, Florida, in April.